An accredited coach specifically focused on the critical areas of negotiation, communication and influencing within senior and executive level management. Melanie brings an additional dimension to training and coaching interventions by drawing on the powerful applicable insights coming from neuroscience which form the core of her training concepts. Given that organisational results are created by the behaviours of people, having a deeper understanding of individuals’ behaviours brings a significant improvement to organisational performance. Her background encompasses 30 years in varied corporate management and training roles, including her own negotiation and communication coaching and training consultancy. 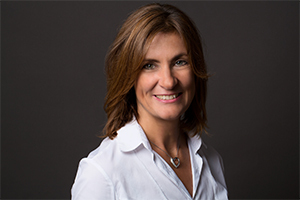 Melanie delivers her consulting, coaching and training services globally, both with her own company, ICD Ltd, and in conjunction with one of the world leading negotiation and influencing organisations, ENSInternational. Clients range from UK Government department/global industrial chemicals manufacturer/leading health care to coaching individuals. Her experience takes her from the creation and launch of a Learning & Development department for a major UK organisation, to developing competency frameworks, coaching key stakeholders and supporting employee engagement strategies within various organisations. Melanie is particularly passionate about supporting women (and gender diversity in general) and runs training programs aimed at equipping women with the tools and techniques to succeed in conjunction with Female Learning Journey programs, HiPo programs and Graduate schemes. Her latest project involves working closely with the Institute of Engineering & Technology (IET) in support of encouraging and keeping women in STEM careers.